The Ketcham Family has been actively involved in real estate since 1974. This local firm has deep roots in the Tallahassee community and knows who the good guys are. We will treat you the way we would want to be treated, we will treat you like family. Ketcham Realty Group, Inc is a very active mid-sized firm that serves Tallahassee, the coast and Southern Georgia. Tallahassee, surronding counties, the coastal area. Also very active in Southern Georgia. 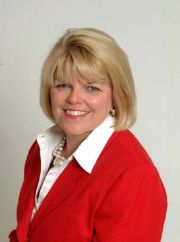 Patti E. Ketcham is a licensed Broker in Florida and Georgia. She is a licensed instructor for the State of Florida, teaches GRI and CE courses. She also teaches Core Law, Principles and Practices. Patti has earned the GRI, CRS, ePro, and CLG designations. She is 2008 President of the Tallahassee Board of Realtors. Serves also as 2009 District Vice President for District VIII. Commercial, large acreage tracts, residental re-sales. Please feel free to contact us if we can be of service to you or your clients. This page has been visited 1,802 times.